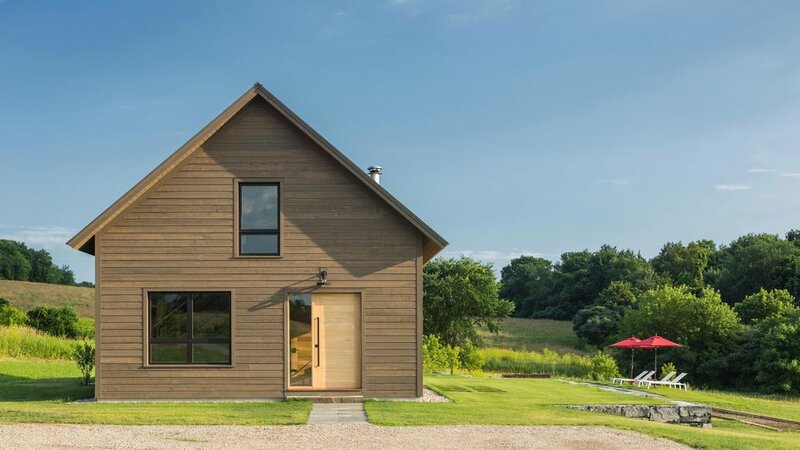 The Vermont Modern Barn, a small, simple, home, modeled on the local form is updated with a structural system of steel beams and large glass doors.. 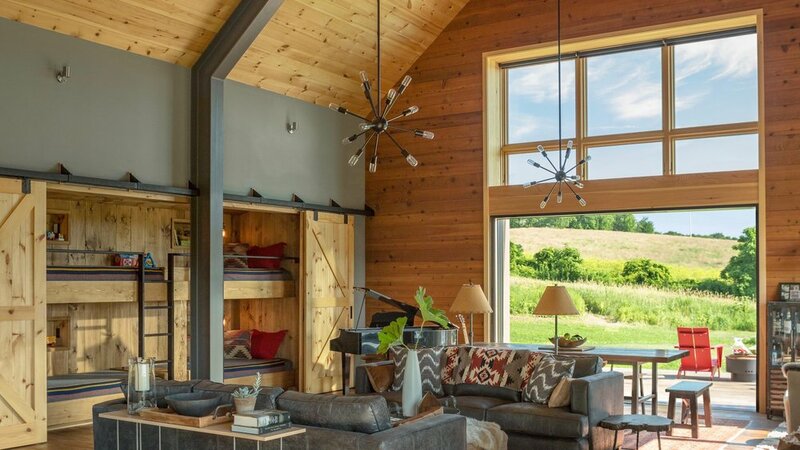 Inspired by traditional barn forms and modernized with a structural system of steel beams, the Vermont Modern Barn is a design concept that can be adapted to suit a variety of needs and site conditions. A built example of the design appears below. 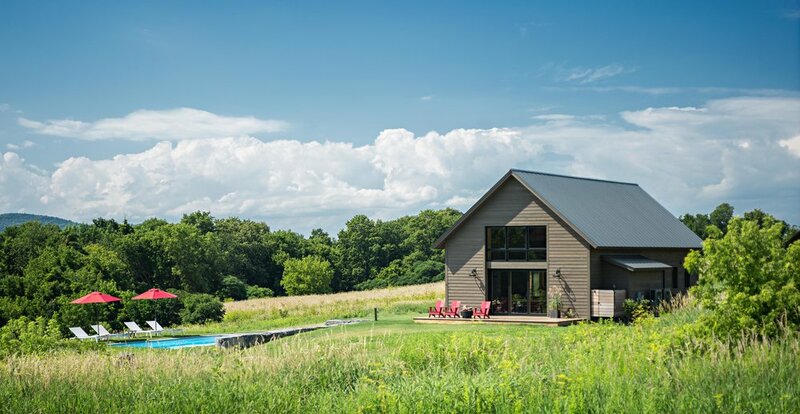 The Vermont Modern Barn is a small, simple, get-away home sited to take advantage of southern exposure and views. Special features include a twelve-foot wide sliding glass door that disappears into the gable end wall and a pivot entry door that welcomes the owner and visitors. A “bump out” containing four bunk beds accommodates overnight guests. At Joan Heaton Architects we take pride in designing purposeful and well-crafted architecture. We provide comprehensive residential design services with a personalized approach. Please contact us to discuss the design of a Vermont Modern Barn to suit your needs and unique site.